For today’s deals roundup, we’ve put together a bunch of gadgets in the list that contains products like speakers, hard drives, power banks and more. The products are available on Paytm Mall with a hefty price cut along with a cashback. Our deals roundup for today is for those who are on a lookout for gadgets like hard drives, speakers, power banks, headphones and more. Paytm Mall is offering considerable discounts on these gadgets along with a cashback. The list includes products from manufacturers like JBL, Sony, Phillips and more. The Philips BT50B portable speaker is equipped with an anti-clipping feature that allows you to stream music in a high quality even when the battery is down. It comes with a built-in rechargeable battery which eliminates the hassle of cords. The speaker is available in four colors - Black, grey, green, and white. You can purchase this device here. The Zebronics Saga Portable Bluetooth speaker lets you stream music via Bluetooth, microSD card and through compatible USB devices. It has built-in FM which gives users an access to wide range of radio channels. You can purchase this device here. The Intex IT-PBA is up for sale, with a 57 percent discount and hefty cashback it can be bought at Rs 879. The device is protected from short-circuits, overcharge and over-discharge. There is also a 200 cashback for those who have yet to place an order on Paytm Mall this month You can purchase this device here. The Ambrane P-2000 is equipped with a LED lights that indicate the power level of the device. It has three-USB charging ports and as per the company, it can charge a regular smartphone up to eight to ten times in one go. You can purchase this device here. The Sony CP-E5V is compatible with a wide range of devices. The company claims that it can charge your smartphone up to two times before the battery goes down. It also comes with overcharging and short-circuit protection. You can purchase this device here. 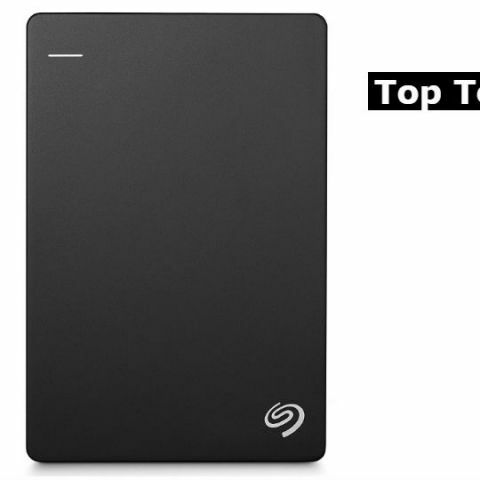 The Seagate 1TB external hard drive connects via USB 3.0 interface. As per the company, it can transfer the data at the rate of 120MB/s with USB 3.0. Purchase this device here. If you run out of storage often, then this 2TB Western Digital Elements hard drive may able to meet your requirements. The hard drive connects to PC via USB 3.0 interface. According to the company, it can transfer the data at the rate of 5GB/s with USB 3.0 and up to 480MB/s with USB 2.0. Purchase this device here. The Philips SHP1900/97 over-ear headphone comes with a 2m long cable and 3.5mm audio jack. The headphone has an impedance of less than 32 ohms. You can purchase this device here. The Sony MDR-ZX110 comes with an in-line remote that allows users to take calls and manage music tracks. The ear cups can be folded away for easy storage. The headphones sport 30mm dynamic drivers which comes with high energy neodymium magnets. Purchase this device here.